Look no further ladies and gentlemen this is your ONE STOP SHOP for ALL your RENTAL NEEDS! In december of 2016 i left the military and relocated my family and i to the liberty area for a new career. 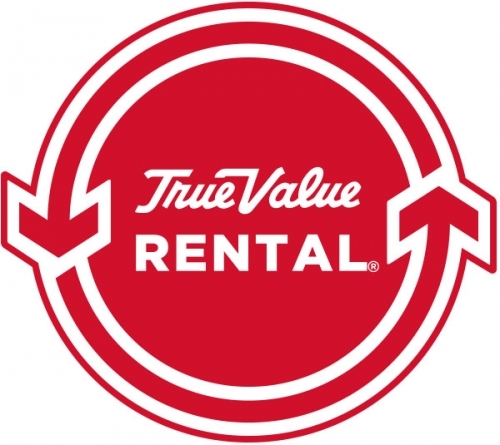 Over the last year this is the ONLY place i went to for my family and business rental needs. The most pivotal expeience i had with them was the most recent. Once again my family and i chose to relocate, but this time for family. FAMILY is the most important element of my life. Now when this companys motto is "redefining the rental experience" they leave out the part where they treat you as FAMILY. In novemeber we found our selves minimizing our move due to financial constraints. We packed our cars and decided to load up the 2nd car onto a trailer and tow that so that our family could be in one vehicle instead of doing what would have been essential a "convoy" traveling 2k miles. We then placed a reservation with Uhaul. Of course Uhaul messed up our reservation on their side because they could not find it even though i had the confirmation email and reservation number. This did not phase the employee helping me. She said not a problem we will just make a new one. Then the employee that assisted with the hook up of the trailer onto my truck was beyond knowledgeable. He pointed out the fact that the car we were hooking up to the trailer would ruin our trasnmission because it was 4x4. So he notified the manager/owner. It was a quick fix. He switched over to the proper trailer very quickly. After that he assisted in teaching us how to get the vehicle on and off the trailer and hook it up. Once the vehicle was hooked up he noticed that the hit was very low and advised we needed to fix it. (At this point the store was already passed the closing hours) he walked over to the mgr/owner and let him know. Then they said lets take care of it. They dropped the trailer, fixed my hitch( which meant cutting off the pin because i lost the key to the lock and then reversing the position on the pin), and reloaded the trailer back onto my truck. While i was walking in to the store i overheard the mgr/owner speaking to the employee and he said "we always do the right thing". This made my heart fill with absolute joy. In this wonderful world it is very rare to find a business that truely cares about its customer and treats them like FAMILY. This team of people go above and beyond for every single customer and they understand your needs. And they do everything in their power to provide outstanding service. This buiness in my opinion should have a 10 star rating! Staff was extremely friendly and customer service oriented. We had a lot of hiccups with our home purchase and move and they were so helpful and accommodating. Will be returning for all our rental needs. They had what Home Depot didn't! We were looking to rent a pallet jack and got the referral from Home Depot to go. One phone call and visit and that's it....we've found our new favorite rental place! The staff is genuinely nice, helpful, and the prices are good. Give them a try! Excellent and attentive staff. Good variety of products for rent. You can also fill your propane tank at a good price. I've rented a chainsaw, and an "electric eel" and was fully briefed on the safety features as well as proper use. They don't just hand you a chainsaw and wave bye bye but make sure you know how to start it, and how to use the included safety equipment. Fast & friendly service this will be my go to for rental. Rented a Billy Goat Aerator this machine is on steroids!! Best rental option in the northland. Wonderful selection from party supplies to large equipment. Cheapest rates in town. I will definetly tell everyone I know that this is the place to go for any rental needs. Staff is also super friendly and helpful! Top notch folks here! Seriously, best rental experience I've ever had. Customer for life here! Thanks. The folks at Liberty Rental 4 U are wonderful. We had 2 UHauls booked for our move and the UHaul company it's self messed up our reservation. These folks went out of there way to help us and make it right. They were calm and patient when we were initially frustrated. I will make a point of using them in the future and suggesting them to my friends. Just rented a stump grinder, or as I called it, "The Destroyer," and it was awesome! Got a great tutorial on how to use it, already loaded on a trailer, warmed up and ready to go. I had no idea how long I'd need it but when I returned it early they charged me the 1/2 day price. Great people and The Destroyer ran like a champ. We all come to a rental location to rent what they have. All locations have the same products for the same price, but one has the customer service that Liberty, MO offers. Liberty Rental 4 U has a very clean, quite, friendly location. Fast and easy pick up and return with staff to help hook up and unhook the equipment. I will be renting again. You had great customer service and great attention to detail. So happy that I chose this location! Very pleasant interactions with everyone, efficient and clean! Thanks!